Do you need more information about a special immigrant visa? The United States decided that certain categories of people are eligible for immigrant visas. Indeed, these people do not have to fit into normal categories, like the relatives of US citizens or employees. This article on the special immigrant visa is part of our series devoted to green cards. The USCIS divides the special immigrant visa (SIV) category in two parts. Visas that are always available regardless of the number of applicants, and visas for applicants in a preference category. In other words, the federal government caps the number of visas available.If you’re interested in learning about a special immigrant visa or Us Visa Types, please keep reading. The special immigrant visa preference category is EB-4. Before providing a short description of each status that fits under the special immigrant visa category, this article describes which special immigrants always have visas available in which special immigrants are in the EB-4 preference category. Only two types of special immigrants are included in the immediately available category, Amerasians and the widow or widower of a US citizen. If you know that you are eligible for Different Types Of Us Visa and need help filing for it, please contact us. 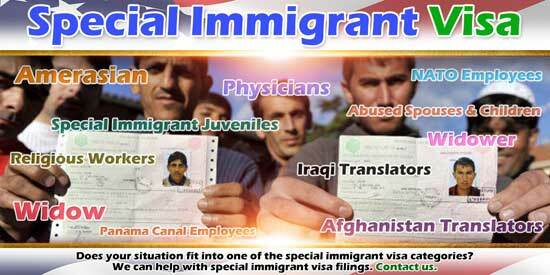 The list of special immigrants included under the fourth preference category includes, special immigrant juveniles or for Us Work Visa Types , religious workers, certain Panama Canal employees, certain physicians, certain employees of NATO, certain US armed forces members, certain Afghanistan or Iraqi nationals who worked with US armed forces as translators, certain Iraqi nationals who worked for the US government in Iraq, abused spouses or children of a US citizen or lawful permanent resident under the Violence Against Women Act (VAWA), and broadcasters. You can check whether the EB-4 category, whether it is current with the Visa Bulletin. In this section, we cover what the special immigrant must show to claim special immigrant status or special immigrant green card for each of the types of special immigrant listed above. Our federal government designed this category to help children fathered by US soldiers during the Vietnam War. The special immigrant must show that they were born between December 31, 1950 and October 22, 1982 to a US citizen father. Only children born in Korea, Vietnam, Laos, Kampuchea or Thailand are eligible. A special immigrant may prove eligibility in this category by showing that a US citizen who is now deceased married them, and was a US citizen when he or she died. You must file the application within two years of the death of your spouse. The USCIS requires that you prove that you are not legally separated at the time of your US citizen spouse’s death. And, you must show that you have not remarried. You only need to file us application if your spouse had not filed in I-130 immigrant visa petition for you. If it was pending at the time of his or her death you don’t need to file. Your spouse’s death converts the I-130 petition into the I-360 special immigrant petition. This special immigrant visa classification has been available for a long time. But, it has recently seen a lot more use with the decision by Pres. Obama’s administration to admit unaccompanied children from Central America to the United States. If you need help with Us Non-Immigrant Visa Types we are there for you. The applicant for the special immigrant juvenile visa must show that they are present in the United States, unmarried and less than 21 years old. Also, he or she must provide an order where a juvenile court declared the applicant a dependent. The juvenile court must also find that reunification with one or both of the juvenile’s parents is not viable due to abuse, neglect, or abandonment. 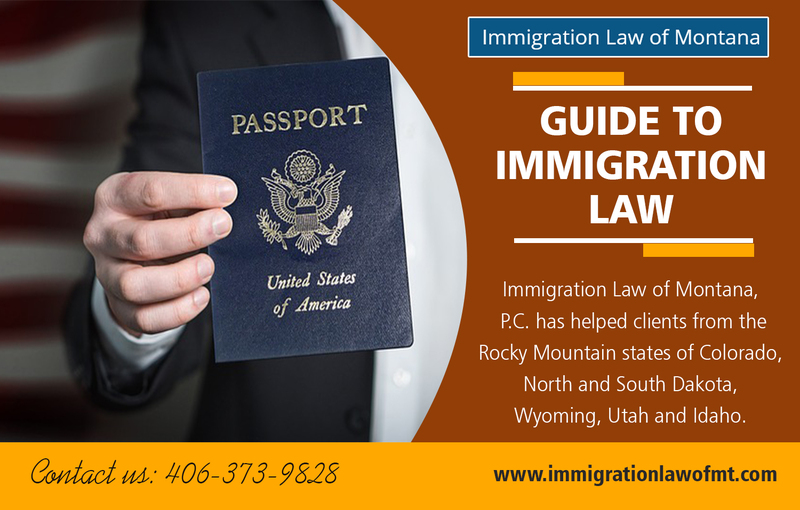 In the court’s order the court must have determined it would not be in the juvenile’s best interest to return to his or her’s country of citizenship or residence. Religious workers are eligible for an SIV green card or lawful permanent residency in the United States. They apply for a special immigrant religious worker visa. Due to the popularity of this visa with qualifying United States religious organizations, we have a whole article devoted to this type of special immigrant green card. You can read our article on green cards for religious workers. When the United States signed the Panama Canal Treaty 1977, it created a category to deliver green cards, special immigrant visas to certain employees. For example, if you were resident in the Canal Zone at the time of the treaty and the Panama Canal Company or the Canal Zone Government employed you, you could submit an application for special immigrant visa with proof of your employment. Other people also associated with the Panama Canal were also eligible. In 1978, the United States decided that foreign physicians who were permanently and fully licensed to practice medicine on that date who entered the United States in H or J nonimmigrant status and who had been continuously practicing medicine since his or her entry could receive immigrant visas. In submitting an application for Green Card Application Process or special immigrant physician visa, the physician would prove all these requirements. Employees of certain qualifying international organizations who were eligible to enjoy the privileges, exemptions and immunities under the International Organizations Immunities Act may file for special immigrant visas along with their family members. Certain employees of NATO and the family members may also file. Why would Armed Forces members need immigrant visas? In a special provision designed to help people who fought in the Iraqi war, the US created this special immigrant classification. It delivers lawful permanent residency status to soldiers who fought for the United States in certain conditions. The member of the Armed Forces must have joined outside the United States under an agreement effective after October 1, 1991. In addition, they must have had 12 years service. The Armed Forces member’s service must have been honorable. Lastly, the executive department under which you served must recommend you for this benefit. Created by the Violence Against Women Act (VAWA), The federal government designed this provision to help abused immigrant spouses. An abused spouse came to the United States to marry a US citizen who abused them. While designed to help spouses, the US extended it to provide immigration benefits to parents as well. This provision is also deserving of its own special discussion given its importance in immigration, and the number of applicants that apply. We discussed the in-depth in our article on VAWA immigration. Here, we note that the applicant for the special immigrant visa must show evidence of the abuse, and that the applicant entered into the marriage in good faith. Success in applying for this special immigrant SIV requires careful attention to both these requirements. Just like the United States providing green cards for soldiers who fought for it during the Iraqi war, the United States also provides lawful permanent residency through the special immigrant visa process for translators who worked with United States Armed Forces for at least 12 months. Unlike the provision for Armed Forces members, this category has no time limitation on when the translator provided the services. But, the translator must show that he or she worked f the US military for at least 12 months. Moreover, a US officer must determine that you have passed a required background check. The United States designed this category of special immigrant visa to assist people who helped the United States government for at least one year by working for contractors in Iraq between March 20, 2003 and September 30, 2013. The central requirement is that your senior supervisor recommended you for this benefit. The last requirement is that you provided faithful and valuable service to the United States government. As with the other special immigrant visas connected to service in Iraq, the applicant must’ve cleared a background check. This category of special immigrant visa green card was designed by the U.S. to help Afghans who assisted the United States govern. But, the translator must show that he or she worked for the US military for at least 12 months. Iraqi contractor provision above, this category requires that you pass a background check. But, it also requires that you are experiencing or will have experienced an ongoing serious threat as a consequence of your employment for the United States government. The United States wished to provide lawful permanent residency to its broadcasters. Not just any broadcasters, but for its network of radio stations like Radio Free Europe. This provision does not allow direct application by the broadcaster or reporter. Instead, the United States Broadcasting Board of Governors (BBG) must submit the I-360 special immigrant visa application. BBG accompanies it with an attestation about the beneficiary broadcaster’s work with BBG. Immigration Resource Guide has experience filing special immigrant visa applications. If you believe that you fit into one of these categories, please contact us. We will analyze your case. If you qualify, we can prepare and submit a special immigrant green card application for you.